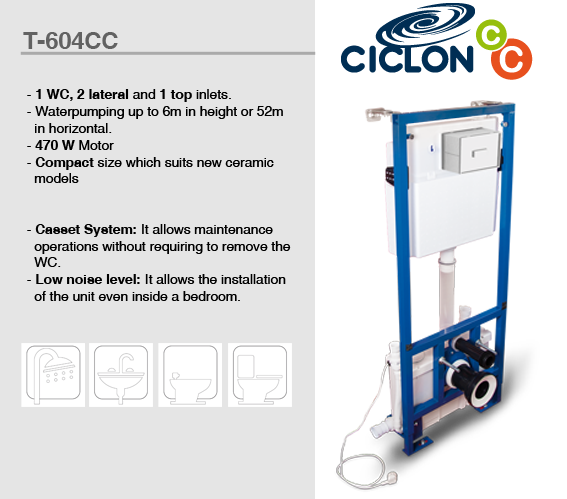 Jimten enlarges its range of Sanitary Macerators and Lifting Stations with new versions suitable for their concealed installation. 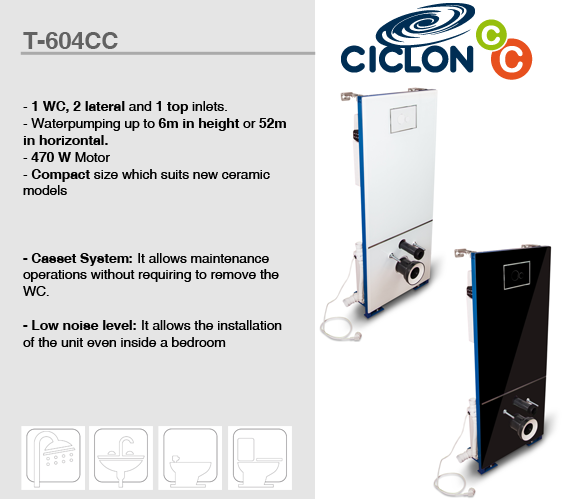 The 2 new sanitary macerators models, CICLON CC and CICLON CS have been conceived for a discreet installation, while offering the Casset system that has made our products a reference in the segment. Designed form the start to be an easy to integrate product in every bathroom ambient, easy to use and easy to maintain, this range incorporates all these fundamental characteristics. Powerful, compact and silent. All these are characteristics or our range which become further evident with these new products. 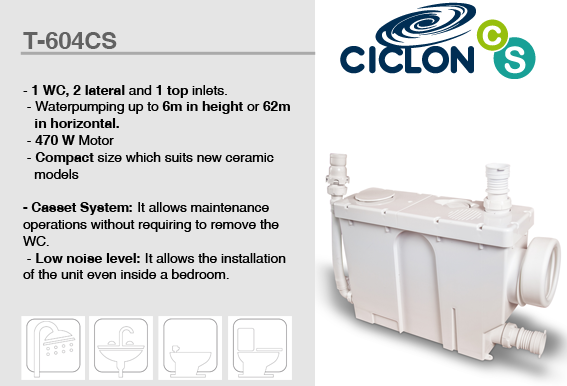 Equipped with new motors, macerating blades, impeller and Casset System, they allow optimized designs and pumping capacity of a complete (toilet, wash basin, bidet and a shower) bathroom up to 6 m height.